Zift Solutions, a leading provider of Channel Marketing and Management (CMM) solutions, announced today that Damian Rochman has joined the company as Vice President of Product. “Adding Damian Rochman to our executive team will ensure that Zift is providing the necessary structure to support continued growth and meet the ever increasing demands and dynamics of the evolving CMM market,” said Zift Solutions President and CEO Ken Romley. 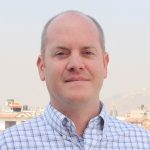 Damian Rochman brings over 20 years of proven experience leading cross-functional teams in the software solutions space to Zift. During the past decade, he has focused on managing product lines throughout their lifecycles at BMC Software, Kaltura, Infusion, Identify Software and, most recently, CloudFactory. In his new role with Zift, he will be responsible for the overall Product Roadmap and will oversee both the Product Management and Documentation teams. He will also work closely with executive management and other business units as well as with customers, partners and users to define and manage overall product direction for Zift. “Zift is already in a terrific market position and I look forward to sharing my product development and management skills with the Zift Solutions team, customers and prospects to deliver leading-edge CMM products that drive breakthrough results,” said Rochman. Learn more about Zift’s executive leadership team at https://ziftsolutions.com/leadership-team/.